Tue., Oct. 25, 2016, 9:53 p.m.
Mark Calhoun has been acting city manager since May 17. He joined the city in June 2011, when he was appointed to the position of finance director, then promoted to deputy city manager in August 2014. A graduate of the University of Montana, he holds a Bachelor of Science degree in business administration with emphasis in accounting and finance. 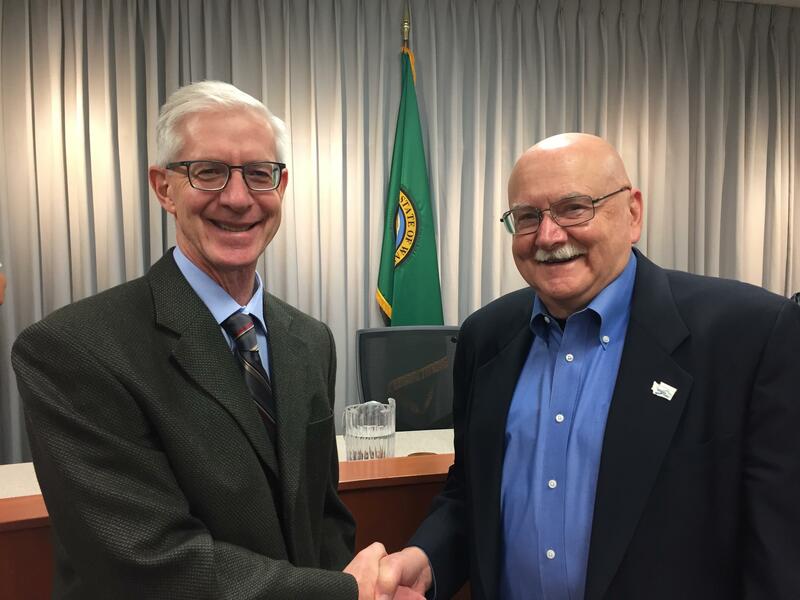 He has more than 27 years of municipal experience including 19 years as a finance director, comprised of 16 years at the city of Wenatchee and three years with Spokane Valley. For a secret mission it had an anticlimactic outcome: The Spokane Valley City Council unanimously appointed acting City Manager Mark Calhoun its new city manager Tuesday evening, putting an end to rumors about Rep. Matt Shea and county commissioner candidate Josh Kerns being shoo-ins for the job. After the brief announcement, Calhoun got a round of applause and went right back to work listening to a presentation about the comprehensive plan update. Mayor Rod Higgins said he was very happy with the outcome of the search and that the process leading up to Calhoun’s selection had been intense – there were 42 applicants – but good. The moment Calhoun submitted his application, he stopped being part of the process, Higgins said. Calhoun has worked in municipal government for 28 years, and he began working for Spokane Valley in 2011 when he was hired as finance director. He came from a similar position in Wenatchee. In 2014, he was promoted to deputy city manager by former City Manager Mike Jackson. When the previous City Council fired Jackson in February, Calhoun began filling in. Deputy Mayor Arne Woodard said he was thankful to all the people who’ve put a lot of work into finding the new city manager. The council allocated $35,000 to pay a management company to find and screen solid candidates. A group of community stakeholders was also part of the search process, a step that was technically unnecessary as the council can hire and fire the city manager at will. Calhoun shook hands with staff members and was congratulated by audience members. Published: Oct. 25, 2016, 9:53 p.m.